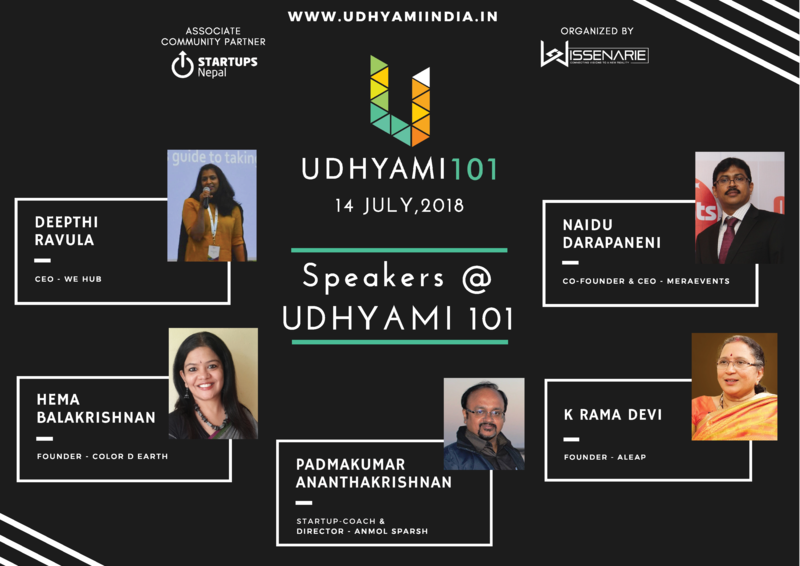 Wissenarie proudly presents you with, "Udhyami 101" a highly focussed entrepreneurship program which cultivates a collaborative startup and entrepreneurial community and cater its unique needs accordingly. The main theme of the program is "Basics of Entrepreneurship",which would be elucidated by few Keynotes and a Panel Discussion on the basic topics to be considered while starting a business as well as enabling ecosystem for Entrepreneurs. Udhyami 101, is continued with a 6-day entrepreneurial program, Udhyami Seed Camp - India Edition in the month of July, where selected candidates would be given an immersive and fast paced introduction to entrepreneurship with hands-on activities and sessions that provide participants with a deep understanding of what it is like to operate a sustainable start-up business. 2.It may get refunded only incase of any issues at the Udhyami events end.